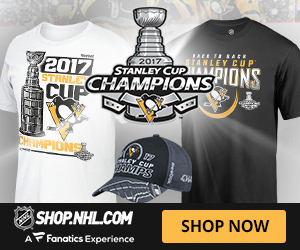 With the deadline fast approaching on Wednesday March 5th, 2014, NHL teams are now in the final stretch of assembling the right pieces in order to secure a playoff spot or to go deep into the playoffs. We look at at the trade rumors fueling the discussions around the medias. The rumors concerning Ryan Kesler from the Vancouver Canucks continue to take a life of its own. 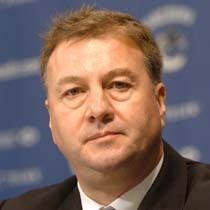 What is now the no.1 target for teams in the NHL continues to create a lot of phone conversation between the general managers with Vancouver Canucks general manager Mike Gillis. 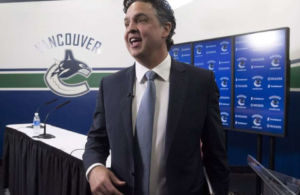 According to Pierre Lebrun and Bob McKenzie from the TSN Tradecentre, they reported that the Vancouver Canucks are looking at an established solid player that can play centre who is between the age of 20 to 25 years-old, a prospect (forward of preference) and a first round pick. Lebrun stated that the Canucks could take a defenseman as a prospect, if it is a good one and they could trade the a defenseman in a separate trade. Kesler who has a no-trade-clause would likely opt as a preference, for an American based team. Team who are in the hunt for Kesler haven’t changed and remains the Pittsburgh Penguins in the lead, the Detroit Red Wings, the Philadelphia Flyers and the Columbus Blue Jackets. In a later report from Vancouver Province’s Ben Kuzma, he stated that Kesler would not lift his no-trade clause to join the Blue Jackets. Darren Dreger added on TSN Tradecentre that the Toronto Maple Leafs have shown interest in Kesler and a player like Nazem Kadri (a center), a propsect such as Jake Gardiner with a first round pick would be part of the equation. As well, Ben Kuzma from the Vancouver Province mentionned that players such as Braydon Schenn and Sean Couturier would make sense if the Flyers were to make a pitch for Ryan Kesler. 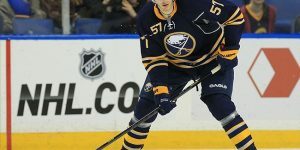 Last week the Buffalo Sabres asked defenseman Christian Erhoff to submit a list of 8 teams he would accept a trade to. You can bet one of these teams were the Detroit Red Wings. 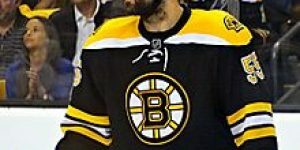 According to Insider Trading, Pierre Lebrun of ESPN.com is reporting that the Detroit Red Wings are in the hunt for defenseman Christian Erhoff. Lebrun also reports that more than half of Ehrhoff’s $40 million contract will be paid out by the end of the season. Erhoff this season has 6 goals and 23 assists in 59 games played. The New York Islanders traded Christian Ehrhoff to the Buffalo Sabres for a conditional 7th round selection in 2011. 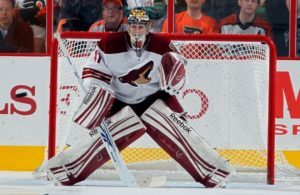 Erhoff signed a multi-year deal with the Sabres who was deemed front-loaded for ten years at 40 million dollars. His cap-hit is sutuated at 4 million. According to Aaron Portzline of The Columbus Dispatch he reported some of the options the Columbus Blue Jackets have heading into the trade deadline. Columbus, we know have pending unrestricted free agent Marian Gaborik who could be had as a rental. Portzline declares the Blue Jackets are looking for an experienced defenceman, and a gritty forward. He reports that Marian Gaborik could stay with the Blue Jackets but they would have more interest in waiting until the very end of the trade deadline and create a bigger return for team wishing to add Gaborik. He also discusses that trading forward Cam Atkinson may be a possibility pending they can obtain a decent return. The Columbus Blue Jackets are also interested in Ryan Kesler but the feeling may not be mutual for both. The Ottawa Senators are currently waiting to see what Chris Phillips will do. According to the Ottawa Senators general manager Bryan Murray, the management is waiting on what he intends to do with regards to his contract. The Senators who would like to keep Phillips, and have offered a one year contract extension while Phillips is seeking a two year deal. According to Darren Dreger from TSN NHL Insider, the Senators are seeking a first round draft pick for Phillips. When met yesterday by the media, Bryan Murray added that he should get a response from the Phillips side today or tomorrow, which will prompt the Senators to keep the veteran defenseman or offer him to teams looking for depth on defense. 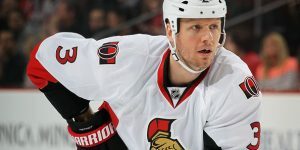 Phillips who has played his entire career in Ottawa resides in the capital city. Teams interested in Chris Phillips are the Boston Bruins in the lead who looking to add a filler to replace Dennis Seidenberg gone for the season, the San Jose Sharks, the Anaheim Ducks and the Edmonton Oilers. Is Ryan Callahan still in play? As long as a deal is not reached between the New York Rangers and the Ryan Callahan clan, trade rumors concerning the Rangers captain will continue to swirl. During the weekend, Ryan Callahan made an offer to the New York Rangers by reducing his term from 7 to 6 years and slightly reducing his annual salary demands to 6.5 million. Meanwhile the Rangers are adamant to agree to a deal of 6 million for 6 years. So it is up to the Rangers to either make a counter-offer or put Ryan Callahan on the trading block. It is rumored that the Columbus Blue Jackets would love to acquire Callahan if he was available and no deals were reached with the Rangers. 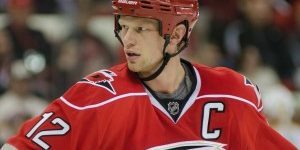 Many sees the Callahan proposals to the Rangers as too much money for what seems to be “a lot of money for a journeyman”. Two teams have decided to put players on waivers in a sign of things to come for the trade deadline. First, the Florida Panthers have put two players on waivers today in a hope they will be claimed. The Panthers have put Scott Clemmensen and forward Scott Gomez. It could be aimed as making roster space for a future acquisitions by dale Tallon. 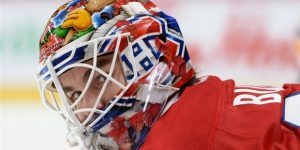 With Clemmensen on waivers, the Panthers may be looking in getting a goalie prior to the trade deadline. Other players of note who have been put on waivers areat this hour are: Trevor Smith (TOR), Jake Dowell (MIN), Corey Potter (EDM), Joe Corvo and Cory Conacher (OTT), Derek Smith (CGY). This report is according to a tweet from Bob McKenzie of TSN NHL insider. According to a tweet from TSN NHL Insider Bob Mckenzie, the Florida Panthers have dealt Mike Weaver to the Montreal Canadiens in exchange for a fifth round pick in the 2015 NHL Entry Draft. Weaver who’s 35, played in 55 games with the Panthers this season cumulating six assists. Weaver is currently on the last year of a two year deal with an annual salary of 1.1 million a season. 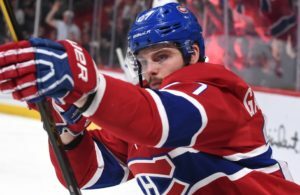 We can expect more moves from the Montreal Canadiens coming from the blue line as they now have an excess of defenseman at that position. The Montreal Canadiens put defenseman Davis Drewiske on waivers Sunday and has since cleared waivers and was demoted to their AHL affiliate team in Hamilton. There are talks being reported that the Winnipeg Jets and the San Jose Sharks are discussing the possibility of returning Devin Setoguchi back with the Sharks. Apparently the teams are discussing today and a deal could be completed by end of the day. This report comes from a tweet of Bob Mckenzie, TSN NHL Insider. Setoguchi has been rumored for some time this year to be on the market by the Jets.